From simple soap dishes to LED mirrors and the highest quality soap dispensers, Contemporary Heaven has them all and at some of the best prices on the internet. Look through our website and we’re sure you’ll find just the kind of thing you’re looking for. Of course, you can use the search bar at the top right of the page too. If you want the ultimate in super cool futuristic mirrors for your bathroom, this is it. The Kare LED Infinity Mirror is rectangular, and at 80cm X 60cm it’s the perfect size for a bathroom, but could be used in any room. Cleverly positioned mirrors create an illusion of great depth, so this item makes a brilliant feature. 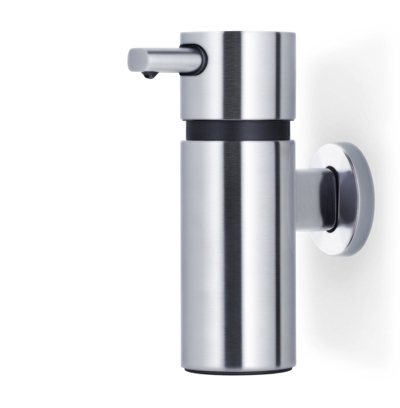 Perfect in a modern bathroom, this soap dispenser is finished in brushed stainless and has a sleek and stylish appearance. Soap dispensers are great for stopping the mess made by bars of soap in the sink, and having your own attached to the wall looks so much better than having odd plastic dispensers scattered about. This product is so useful, and looks great too. It’s a powder coated frame, with a mirror attached and three invisible shelves sitting behind the mirror. If you have a small bathroom with little space for shelves and cabinets this is the perfect way to keep your room clutter free and store your essentials.